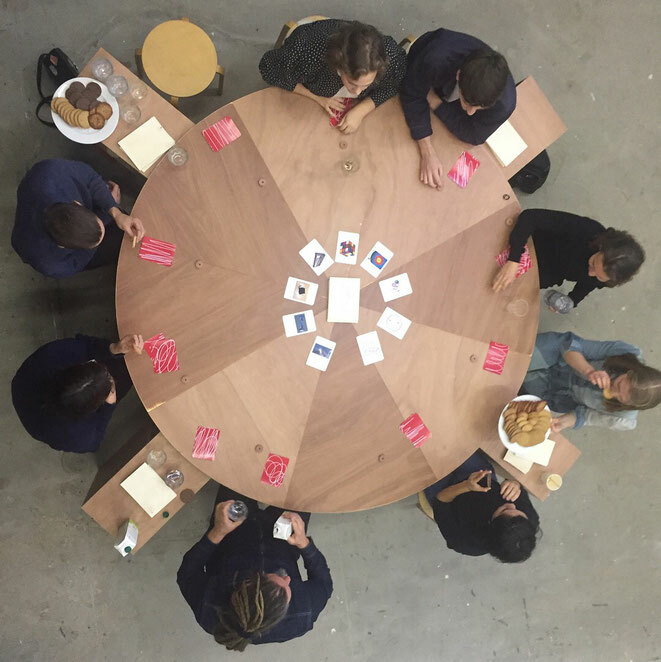 Decentral lecture is a conversation model in the form of a game: a cooperative situation wherein players exchange information through associations and make connections between different areas of knowledge. 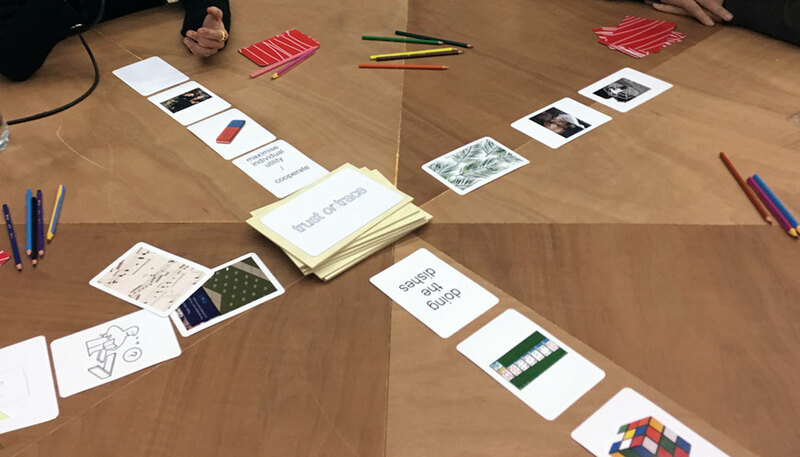 The initial game design was developed with Saulė Vaivilavičiūtė and Yara Veloso during our Community of Practice at Stroom. Later, I initiated an updated version during Prospects & Concepts at Art Rotterdam. Instead of an artist talk, the decentral lecture provided context for installation double conscious space, by contributions of a blockchain expert, professor economics, entrepreneur and environmental scientist who exchanged ideas on ‘trust or trace’.